Improve your golf game! Get access to golf instruction videos from the top certified PGA Teaching Professionals and improve every aspect of your game. 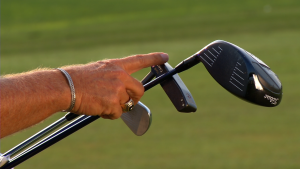 Warren Bottke teaches you about the three essential clubs to warm up with prior to a round. These three will have the most impact on your game. Spend 10 minutes each with your driver, seven iron, and putter and you’ll be able to cover 73% of your game. Select the 24-hour plan and get our best videos with access to tips and techniques from our experts for an entire day! Select the one-week plan and get our best videos with access to tips and techniques from our experts for an entire week! Select your subscription plan and get our best videos with access to tips and techniques from our experts, automatic renewal and our ‘cancel anytime’ policy. Some of our videos are available to purchase to own and download. Now you can enjoy our content anytime, anywhere, even without an internet connection. Use the "Buy to Own" filter (above our list of videos on this page) to view our downloadable video inventory.